King and Society is the result of a vision. Troy’s vision, to be exact. When he started working in traditional real estate, Troy quickly found it to be too restricting when it came to branching out into property management and other areas. Together with partners Sean and David, he set out to redefine how real estate is done in the Charleston area. 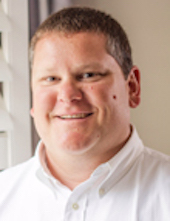 Originally from Greenville, SC, Troy’s been working with buyers, sellers and investors since 2007, when he opened his own company out of a spare bedroom in his home. He has a certificate from the International Cotton Institute at Rhodes College, a brokers license and a degree in corporate finance from East Tennessee State University. Today, Troy averages 40 rehab projects a year while managing a handpicked team of Charleston’s best real estate agents, investors, property managers and contractors. If you have a question—any question—related to living in the Charleston area, just ask Troy.